Neurotech International (ASX:NTI), developer of quality medical solutions aimed at improving the lives of children with autism, has released its quarterly activities for the period ending June 30 2018, reporting strong progress. In June, NTI also announced CE acceptance of considerable improvements to Mente Autism, enabling the company to move ahead with production. These include improvements to wi-fi connectivity, synchronisation and usability linked to the firmware and the Mente Autism application. As always, it should be noted that NTI is an early stage play and anything can happen, so seek professional financial advice if considering this stock for your portfolio. The clinical trial, which was carried out by Florida's Carrick Institute, was a randomised-controlled, double-blind investigation that compared Mente Autism with a control (or sham) device over 12 weeks. This trial was designed to ascertain the consequences of the Mente Autism neurofeedback treatment, with a variety of outcome measurements examined to assess the effectiveness of the device. This included analysis of brain activity, balance and behavior. Evaluations were completed at enrolment and again after the 12-week therapy concluded. More than 700 potential subjects aged 5-17 applied to participate in the trial, with 83 recruited and 34 participants completing. 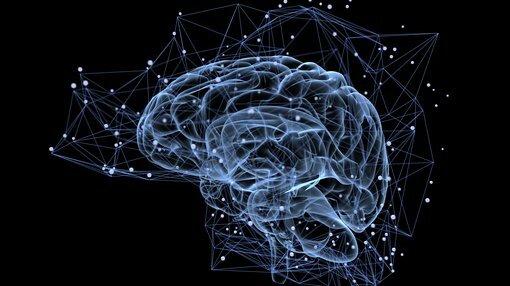 Critically, these positive results suggest that Mente Autism is uniquely positioned to target autism as a home-based neurofeedback tool, and clinical evidence from the trial will be used to support the NTI’s submission to the US Food and Drug Administration (FDA), which is targeted for the third quarter of calendar 2018. Following the retirement of Neurotech founder, Dr Adrian Attard Trevisan, as a Non-Executive Director in June, NTI has onboarded neuroscience expert, Dr David Cantor. Cantor is a highly distinguished clinician, neuroscientist, program developer and a member of the NTI’s scientific advisory board, with a career spanning more than 40 years in the academic and clinical neuroscience sector. He is CEO and Clinical Director of Mind and Motion Developmental Centers of Georgia, a multidisciplinary treatment facility providing a range of diagnostic and treatment services to children and adults seeking help with neurological disorders such as autism, ADHD, traumatic brain injury, and sensory processing disorders. On top of that, Cantor is also the CEO and Managing Partner of BrainDx, an international software company that produces functional brain analytic software through computer assisted quantitative EEG (QEEG) reports and big database measures of brain development. Promisingly, with its positive US clinical trial results now in hand, RGI’s next regulatory milestone will be obtaining the US FDA clearance for the Mente Autism device using a de-novo application process. NTI expects to complete these elements and provide its submission to the FDA before the end of Q3. Depending on several factors, including the FDA's current backlog, benchmarks indicate the approval would take 9 - 12 months. Initial units of the next batch of Mente Autism devices are expected to be available this month, with the first shipment of devices expected in August. Pre-orders have been received from several of NTI’s existing distributors, who are initiating various marketing activities to coincide with the release of the Mente Autism clinical trial results. Promosalute, Neurotech's Italian distribution partner, has also been active with a series of marketing activities including a targeted online marketing exercise and the opening of the first three neurofeedback centres throughout Italy. Encouragingly, since the release of the US clinical trial results, NTI has seen a considerable surge in enquiries from potential distributors from other geographies, and management expects to broaden its reach with new distribution agreements through 2018 and 2019, with a focus on establishing a presence in the UK, France and Spain.